Instructions provided describe how to assign the NoData cells of a raster to a specific value. Various spatial analysis applications require raster NoData cells to be factored into an analytical operation. Since NoData cells are ignored in any analysis, such requirements can only be met if those cells have a specific value assigned to them. 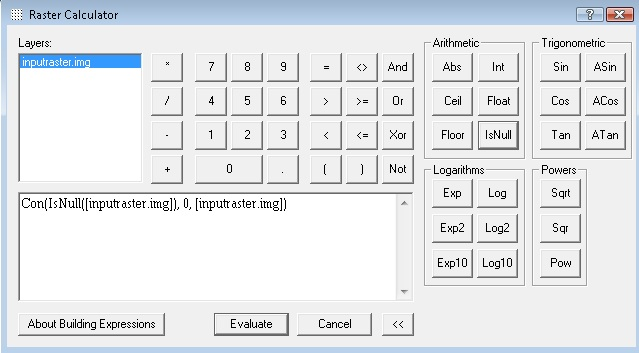 In both version 10 and 9.3, the Con tool can be used outside of the Raster Calculator to create a new raster with reset NoData (Null) values. 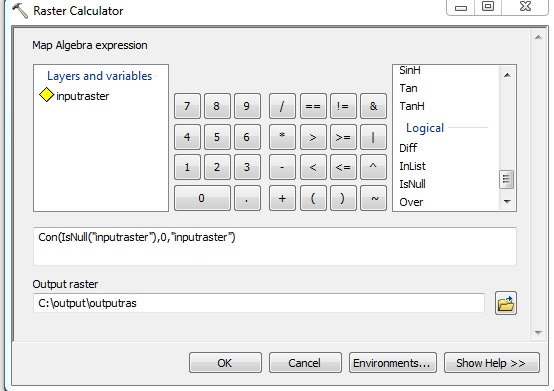 However the Raster Calculator may also be used to call the Con and IsNull tool to perform the same task. The syntax is different in 9.3 and in 10. Examples are shown below.